Internal ball return system. 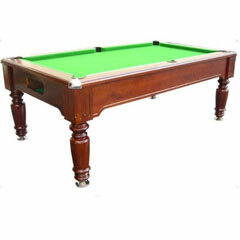 Its slimline body enables it to be installed into places where a standard table cannot go. Brass adjustable feet for levelling with rubber shoes to protect floors. 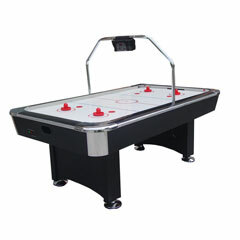 8ft x 4.5ft air hockey table finished in matt black with chrome effect corners, & adjustable height feet. 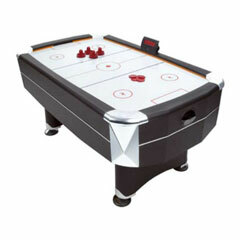 7ft x 4ft air hockey table finished in matt black with chrome effect corners, & adjustable height feet.